New Premium Wines, Exclusive to Duty Free. 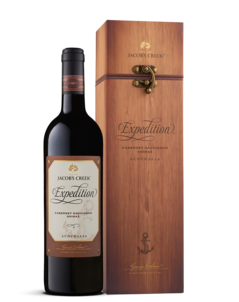 Exclusive to Asia Pacific Travel Retail, Jacob’s Creek Expedition pays tribute to the ship that brought our founder, Johann Gramp, on an expedition across the seas to South Australia in 1837. Ten years after disembarking ‘The Solway’, Johann was to plant the first vines on the banks of Jacob’s Creek.